Many of our clients rely on us to act as an extension of their supply chain, reacting to bespoke, time-restrictive requests on a daily basis. We pride ourselves in giving our clients full confidence that we will always fulfil all their needs to the highest standard, allowing them to concentrate on their core business. 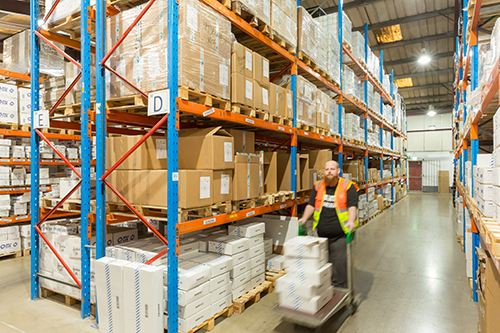 We can distribute clients’ goods through our own fleet, via the TPN network, or through any transport provider of their choice. We offer industry-leading turnaround times, and stock management, resulting in exceptional customer satisfaction rates. We concentrate on delivering excellence day in day out, it’s what we do! For storage rates and other services we can offer, please contact grant@oxfordcarriers.co.uk or call 01865 880029.